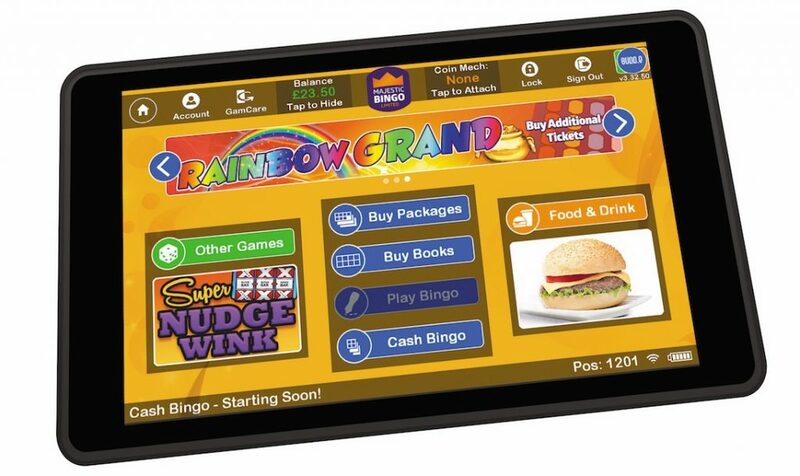 NRM, the gaming technology and software solutions provider, will be seeking to positively disrupt the bingo tablet market when it unveils Budde, a new hand held ‘Open Platform’ architecture bingo tablet from stand BP2 at ICE London. Budde’s Open Platform allows operators the choice over third party content availability including wide area bingo variant games and is regarded as a game changer by leading figures in the sector. Andrew Ludlow, Managing Director of NRM believes ICE London provides the perfect arena for the launch. “ICE is a technology driven show which attracts serious operators from all parts of the gaming industry,” he said. “Budde, which has been developed in partnership with Airdice, uses technology to deliver flexibility in terms of platform and content delivery. The system is customisable to reflect individual operator branding and has full operator control over tablet advertising. The Budde tablet is available on both Windows and Android platforms, has account based play and promotional credit capability, is available in both 8″ and 10” versions and delivers a fresh consumer user interface covering Main Stage, MCB, Slots, Bingo Variant, Advertising and F&B menu’s.